It all started when we met while working for a computer typesetting company... Since then, our love of books, local history and the need to make a living  have conspired to keep us close to the publishing industries in its many guises. Award-winning freelance writer Katharine Fletcher invites you to explore the spectacular natural beauty of Canada's National Capital Region. Using Ottawa's downtown centre as a "hub," this insider's guide describes 12 adventures along "spokes" fanning out from the city's core into a world of wooded hills, sylvan lakes, tumbling watersheds, and heritage villages. With Capital Rambles in hand, you'll find an intimate introduction to all quadrants of this West Quebec (the Outaouais) and Eastern Ontario region  an area comprising 4,715 square kilometres. Katharine weaves a background of human and natural history as she guides you throughout her home territory. Modern-day explorers can follow in the paddlestrokes of historic figures such as Samuel de Champlain, whose 1613 journal reveals impressions of scenery you can still recognize today. Archival photos enhance the text, showcasing early days in the Valley that provide an intriguing contrast to the author's contemporary images. Whether exploring on foot, by bicycle, canoe, horseback, car, ski, or snowshoe, you'll discover hiking trails, bicycle paths, picnic spots, and waterways for every season, level of hiking or skiing ability  and energy level. For residents and visitors alike, this indispensable guidebook invites readers to explore the history, heartbeat, and character of Canada's capital. Katharine describes 10 walking tours focusing on Ottawa's magnificent heritage buildings as well as the wonders of the natural green space within the city. 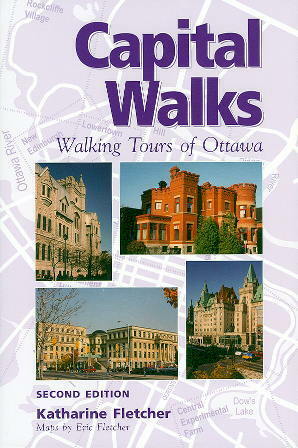 With this second edition, two new walks  the Central Experimental Farm (including the Arboretum and the Fletcher Wildlife Garden) and the Ottawa River Parkway  join Parliament Hill, Sussex Drive, Lowertown, New Edinburgh, Rideau Canal, The Glebe, Sandy Hill, and Rockcliffe. 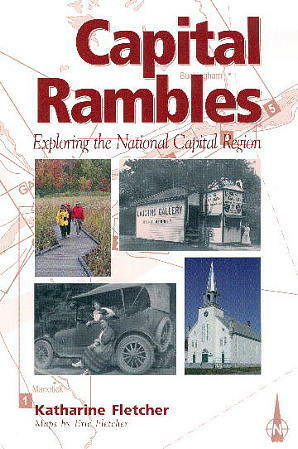 As with all of the author's guidebooks, Capital Walks features maps created by her husband and business partner Eric, as well as archival and contemporary photographs. 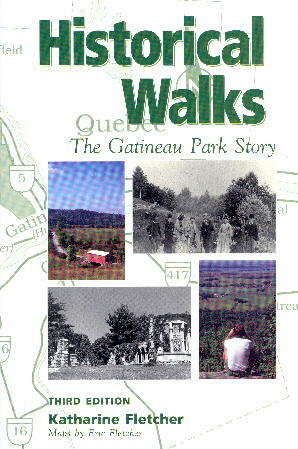 For history buffs, nature lovers, bird watchers, and hiking enthusiasts, Katharine's Historical Walks continues to be the unique guide to the human and natural history of Gatineau Park. Fully illustrated with maps, archival and contemporary photographs, the book is a one-stop reference and handbook to the 363-square kilometre park situated on the Quebec side of the Ottawa River, just 20 minutes north of Parliament Hill by car. In Part I  The History of Gatineau Park  Katharine tells the story of the pioneers and settlers who originally homesteaded here, and explains how the park came into being. In Part II  Setting the Mood  the reader is invited to explore a range of ecological zones including the micro-climate of the Eardley Escarpment, the tranquility of beaver ponds, and sylvan meadows. Here, Katharine also offers numerous tips on bird and wildlife viewing throughout the park. As with all of the author's guidebooks, the maps illustrating Historical Walks were created by the author's husband and business partner, Eric. Think Quebec is nothing more than the French-speaking province of Canada? Think again. From the cosmopolitan cities of Montreal and Quebec City to rugged outdoor recreation opportunities, "la belle province" has much to offer. Get to the heart of things with Globe Pequot's Off the Beaten Path series. 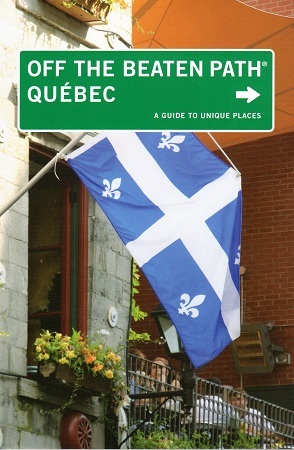 Devoted to travelers with a taste for the unique, this easy-to-use guide will help you discover the hidden places in Quebec that most tourists miss-unsung, unspoiled, and out-of-the-way finds that liven up a week's vacation, a day trip, or an afternoon. We spent many a happy hour exploring our beautiful province to find those special places that make travel so memorable. A history of the settlement of Wakefield, near Ottawa, and a series of self-guided walks around the village. Recollections of the life of an young Englishman who emigrated to Canada, returned to be wounded at Ypres in WWI, and then raised a family in western Canada. Jean Donald Gow weaves a fascinating story of her 40 years in the Canadian Navy  all the more interesting because women had no real place in such a world at the time. The maritime participation of Canada in the Second World War invariably focuses on the some 330 ocean-going combatants of the Royal Canadian Navy. Seldom does such a review include the naval arming and support of 303 Canadian merchant ships, some as heavily armed as a frigate. Along with the unarmed ships of our Merchant Navy, this fleet was vital in not only our overseas trade but the supply of Britain and in the military operations of Europe, Asia and Africa. Max Reid, a long-time member of the Royal Canadian Naval Association (RCNA)/ Defensively Equipped Merchant Ships (DEMS) Branch account of this aspect of Canada's war at sea includes period photographs, anecdotes and a summary of the ships and crews. Since 1974, The Historical Society of the Gatineau has been producing an annual collection of stories and articles about people and times in the Gatineau Valley. Chesley House Publications has been proud to be the publisher for many of the volumes.